At Shine Photography we have outdoor and indoor event units with on-site printing. 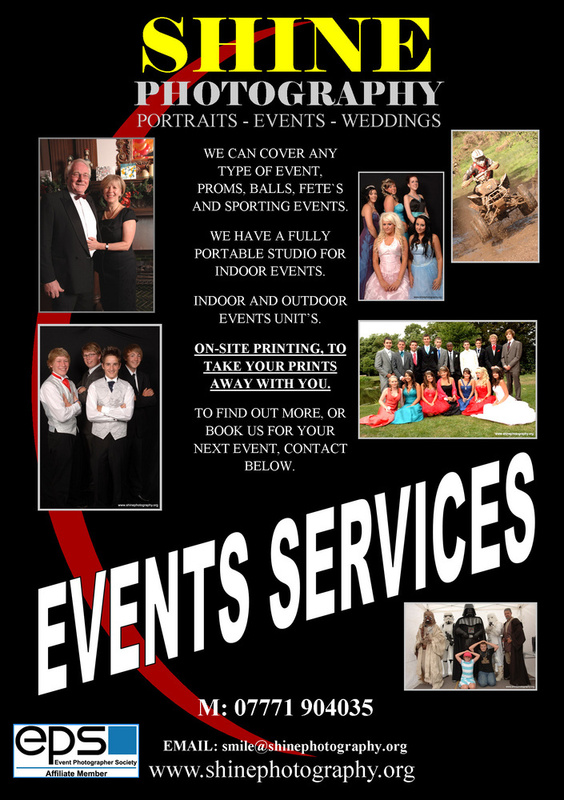 Motor sport, sporting events i.e football, athletics, school proms (to capture that special milestone), birthday parties, special events, corporate events and other social events. please contact us soon to avoid disappointment. The O.R.E South West Endurro Championship. Quad World (one of Devon's premier tourist attractions). . West Country Windows. Lanes Hotel. Manor Hotel, Sweeney Tod Barber Shop. Please click below (VIEW YOUR PICTURES) to view/ purchase prints from our on-line sales facilty.